Dr. Barry M. Belgorod, M.D., F.A.C.S. Dr. Belgorod is a Fellow of the American College of Surgeons and is an eye physician and surgeon specialist. His practice focuses on providing premier patients care in custom contact lenses, comprehensive eye exams, PRK surgery, second opinion diagnosis, glaucoma treatment, specialty contact lenses for disease and cataract surgery. Dr. Belgorod is Board Certified in Ophthalmology, is a Fellow of the American Academy of Ophthalmology. He has been in private practice since 1981. Dr. Belgorod has admitting privileges at New York-Presbyterian Hospital (Cornell-Weill Division) and is an attending surgeon at Manhattan Eye, Ear and Throat hospital. 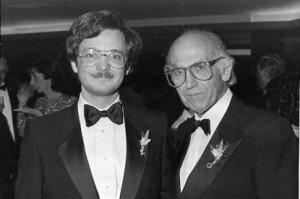 He was a Jonas Salk Scholar at the University of Pennsylvania School of Medicine. After receiving the Oliver Memorial Prize for the highest academic standing in Ophthalmology, Dr. Belgorod did his internship at the Pennsylvania Hospital and his residency at the Manhattan, Eye, Ear and Throat Hospital. Dr. Belgorod serves as a trusted consultant to several governmental agencies including the United States Food and Drug Administration, to NBC and to the New York Times. He holds five patents, which include electro-optical devices to help the visually impaired and pioneering technologies in laser vision correction surgery. In connection with his research, he studied laser physics at MIT. He was awarded a fellowship by the National Science Foundation and has received research funding from the National Institutes of Health. He is an active member of the Independent Doctors of New York organization, Physicians’ Scientific Society and New York Athletic Club.